Players must complete 3 passes. Bounce a foam soccer ball off a target disc. Aim for the PASS pocket. Avoid the TAKEAWAY pockets. GOOOAAALLLL! 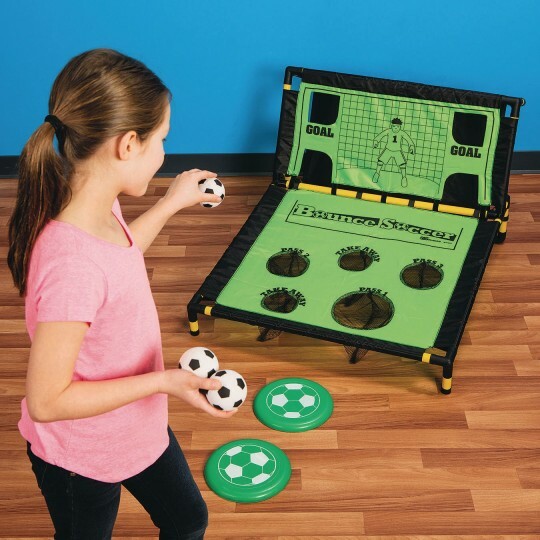 In this soccer-themed bounce game, players must complete 3 passes by bouncing a foam soccer ball off a target disc and into a PASS pocket. Avoid the TAKEAWAY pockets and take a shot on goal! 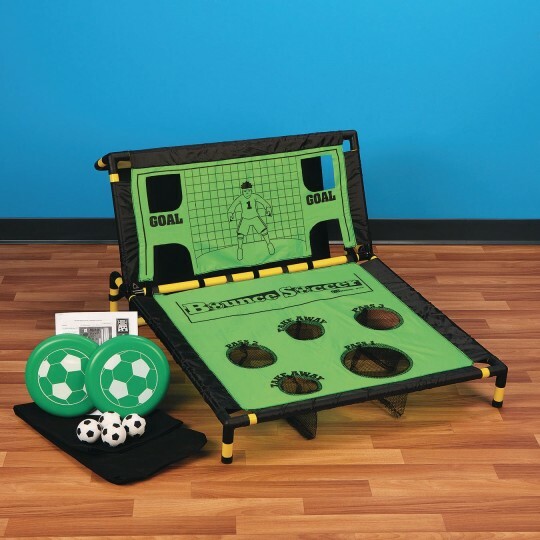 Includes a large 40L x 33W x 23H target, 4 bouncing foam soccer balls, 2 target discs, a storage bag and instructions. 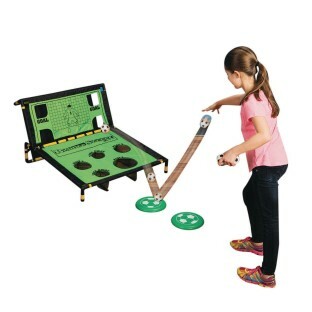 Instructions include options for making the game more or less challenging to match player ability with two different ways to play.